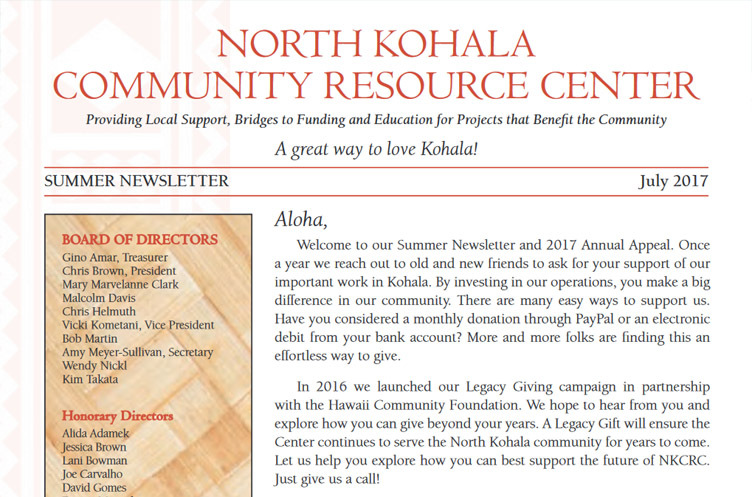 Welcome to our Summer Newsletter and 2017 Annual Appeal. 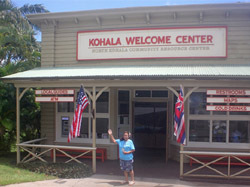 Once a year we reach out to old and new friends to ask for your support of our important work in Kohala By investing in our operations, you make a big difference in our community. There are many easy ways to support us. Have you considered a monthly donation through PayPal or an electronic debit from your bank account? More and more folks are finding this an effortless way to give.